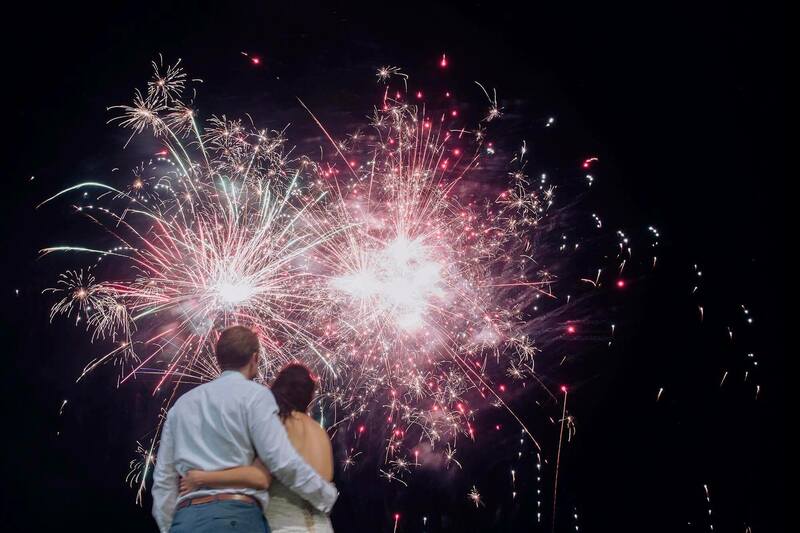 Wedding Fireworks: Your guests will love a Mr Fireworks display! Many brides and grooms dream of having magical wedding fireworks. Budgets are always one of the most important aspects of a wedding. Luckily, the team at Mr Fireworks can provide you with a stunning display that suits your budget. One of the most common pieces of feedback we receive about our fireworks displays, (other than how incredible and amazing they are!) is that we make them possible for even the most budget savvy bride/groom. Have you already selected the wedding venue of your dreams? Discuss with them the possibility of having outdoor fireworks or indoor special effects to add that extra sparkle to your night. Check out our wedding flyer for ceremony and reception ideas. Download your wedding fireworks flyer here or contact us to find out more information.